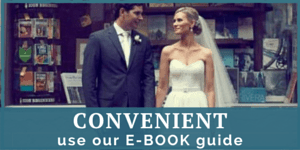 Top 20 – Weddings in Italy Money Saving Tips. 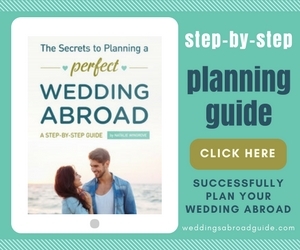 Weddings Abroad Expert Deborah Taliani from Just Get Married In Italy provides her top “Weddings in Italy Money Saving” tips and shows you how to easily take more than €6000 off from your wedding budget and keep it in your pocket! Getting married in Italy is already a great budget saver! 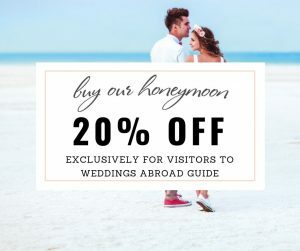 Not only are weddings cheaper than in the UK, but by choosing the right venue and making the right moves, your wedding in Italy will be beyond your dreams, without a budget blow out! The first weddings in Italy money saving tip is to choose ‘close by wedding halls and locations’ near to the big art cities. For example, getting married in Siena costs €800 for the wedding hall. By choosing another wedding hall less than 10 minutes out of Siena, it will cost €300! 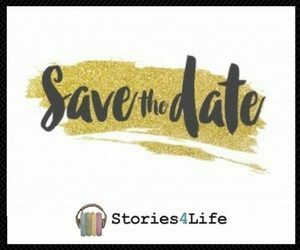 You will still have your wedding in Siena, photos etc, but at almost 1/3 of the price! Same for Rome outskirts locations like Bracciano or Tivoli, Rome weddings hall are €1400 while Bracciano Lake wedding halls hiring fees are €350! Avoid the most touristic ‘North lakes’ like Como or Garda! 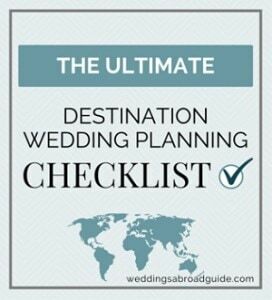 Choose instead to get married in the less touristic ones like, Castelgandolfo or Bracciano Lake in the roman outskirts. Not only are they beautiful, private and unspoilt venues, but they are wedding locations chosen by VIP’s like Tom Cruise and Katie Holmes to name one, but the weather is sunny and mild all year around! Find out the busiest summer months in your chosen location and stay away from it! Getting married outside high season not only will guarantee privacy at your wedding, especially for crowded locations like Sorrento, but will also save you so much on travel fares, hotels, venues etc. Also avoid Bank holiday weekends for the same reasons. For Europeans; choose a venue close to ‘low cost’ airline airports, where guests can easily and cheaply arrive. For non-Europeans choose a location where the main airports are. It will save you time and travel costs to reach the venue. A practical weddings in Italy money saving tip is to get married on weekdays & during town hall opening hours. Most Italian wedding halls are cheaper on weekdays and during their opening hours. 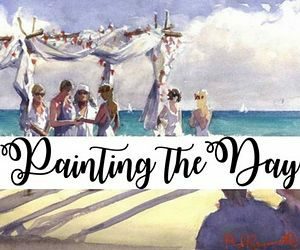 Embrace the local Wedding culture! 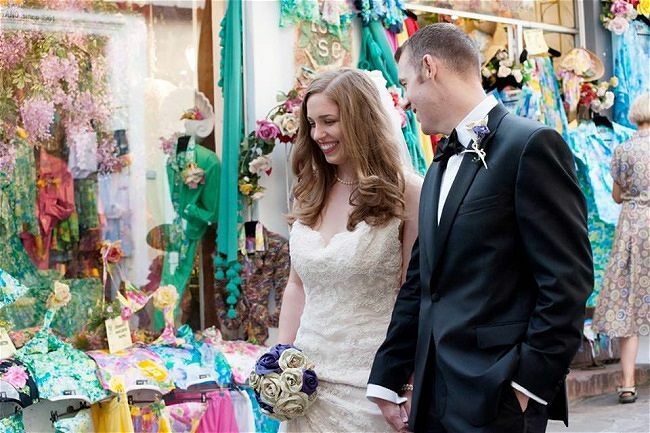 Find out the local wedding traditions and try to incorporate them into your wedding. Using local wedding items/food/customs will save you as they are already locally available in wide quantities for the Italian brides, making them cheaper. A classic example is the wedding cake. An Italian wedding cake is free, as it is included in any wedding menu! While, what Italians call ‘American cake’ (icing/decorated cake) cost an average of €400 for as little as 40 guests! 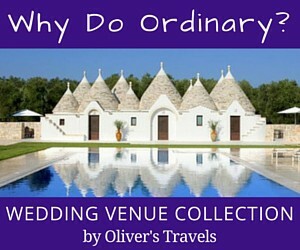 One of the biggest weddings in Italy money saving tips is to avoid booking venues and services directly! 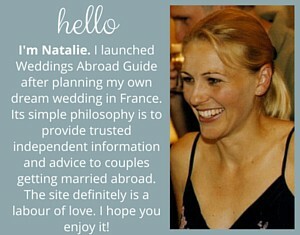 Use a local Professional Wedding Planner like Just Get Married! Did you know that a well established wedding planner has discounted rates that they pass on directly to their clients? The fee they charge is a very small token to pay for all the savings, not only economically but time wise and emotionally. 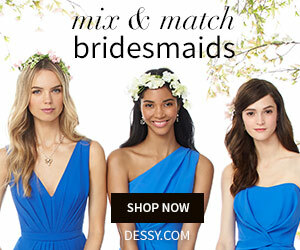 A wedding planner does know and use only the best suppliers in your chosen area; he/she will take all the pressure and stress away from you, leaving you with the fun part of the wedding planning to take care of, like wedding dress shopping. For the same reason, avoid travelling to Italy to find the perfect venue on your own. Hire instead an Italian wedding planner. They have done all the searching for you, making a trip to Italy unnecessary. It will easily save you and can put back in your wedding budget more than €2000 for better wedding use. Book a photographer service and ask for all images in professional high resolution on CD, instead of choosing a package with prints/albums. 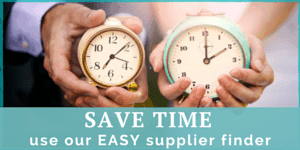 It will save you on photographer printing/album fees plus expensive postage fees! You can then print any photo you like and do whatever you want with them (cropping/editing/printing etc) using a photo software or at your local photographer. A wedding video is all about good editing: Although prices for videographers are quite reasonable in Italy, you can still save around €600, by borrowing from your guests the footage they enthusiastically filmed on the day. (if no guests are attending, Just Get Married’s onsite planners are happy to get some footage for you). 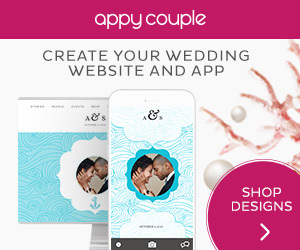 At home, get all footage edited into a 20 minute highlight reel of your wedding day with music of your choice by your local photographer studio or a good editor. Choose seasonal flowers instead of fancy tropical or out of season flowers! Firstly it will be locally available & cheaper, the latter will still be available at double the price as it needs to be imported from abroad! Think green, and opt for seasonal flowers, instead! Another great weddings in Italy money saving tip is to choose a villa/venue that offer ‘free use’ on the wedding day. Stay away from the most popular ones, easily found on the web! 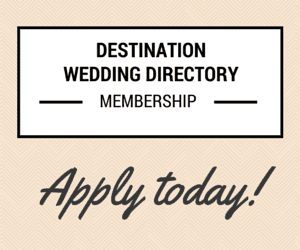 Ask your Italian wedding planner to source one with no additional hiring fees on the day! It will save you as much as €2000 if not more! Choose an all inclusive menu, rather than a la carte menu. A la carte menu can go easily out of control, as a single main course in Italy can cost as much as €40! Choose a venue with an inside kitchen rather than one where you need to hire an external catering service. Catering companies can help you to personalise the table decorations, styles etc better, although it comes with a higher price. Leave the exclusive hotel for the wedding night! For your stay, opt instead for luxury private apartments. Not only will they give you plenty of privacy and more money in your pocket, but will let you enjoy living as a Roman, a Florentine or a Venetian for a little while! Logistically, guests transfers are very important for a wedding abroad, especially in Italy and non-english speaking countries. Instead of paying for it, offer a ‘payable transfer option’ to your guests! Each guest will pay very little per head, while you will save a great deal of money. By experience, guests don’t mind to pay for stress free transfers, and they appreciate that you have taken the time to organise it for them. If you want an outdoor ceremony, pick a location that offers outdoor weddings (Just Get Married In Italy can offer a wide list to choice from in most Italian wedding locations) rather than having a separate ‘indoor wedding’ and ‘outdoor blessing ceremony’ at the villa. Have either one or the other, it will save you more than €1000. For religious weddings in major art cities, choose a church recommended by your wedding planner. They are usually the best in beauty, value and accessibility (some churches in Italy can only be accessed by foot, not very convenient for guests, as they easily get lost). For religious weddings in villas, ask your wedding planner to source a villa with a chapel. Most villas around Umbria, Lazio, Tuscany have little churches or chapels within their premises, as in the past centuries noble Italian families had their private ones. The chapel use for religious weddings in Italy is usually free or cost very little. The final weddings in Italy money saving tip is to leave all legal and religious aspects to the experts. It may not save you money, but it WILL save you in jeopardising your wedding with the wrong paperwork! The legal requirements for UK citizens getting married in Italy have now changed. If you wish to proceed with the service, contact Just Get Married In Italy using the form below, quoting “CNI enquiry”. Please bear in mind that this service can be provided to UK citizens that reside in the UK. If you do reside outside, the standard process still apply. Just Get Married In Italy put these weddings in Italy money saving tips together to help you to save money and time in the long run, with a guaranteed saving of at least €6000 from your wedding budget to either keep or put into better use for your future together! If you would like any further information, please use the form below to contact Deborah who would be more than happy to answer your questions. La Bottega del Sogno creates dream Italian Weddings for all budgets and can provide you with a rich selection of top quality wedding venues in the most beautiful Italian regions.